Over 60 years since the team was formed and following a successful full-time return to top-level sportscar racing in 2012, legendary Scottish outfit Ecurie Ecosse will continue its revival in 2013 running twin programmes in the GTC class of the European Le Mans Series and the GT3 category of the British GT Championship. The illustrious squad, which won the Le Mans 24 Hours in 1956 and ‘57, came very close to winning the British GT Championship at its first attempt last season with a 2011-specification BMW Z4 GT3, and also produced strong performances in the Blancpain Endurance Series. 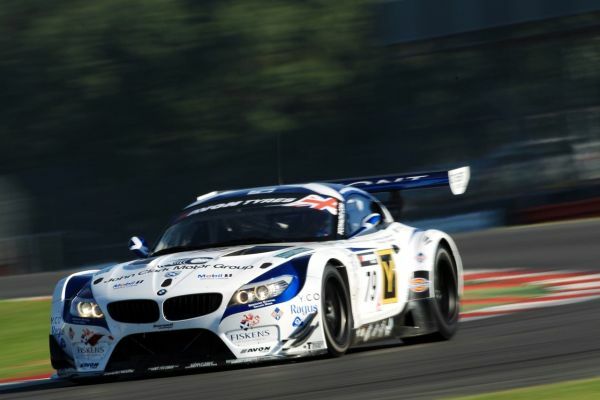 Ecurie Ecosse is continuing its successful partnership with BMW Motorsport having acquired a brand new 2013-specification BMW Z4 GT3 which will again be run by two-time British GT Championship winners Barwell Motorsport. The British GT Championship rounds will be contested by drivers Oliver Bryant and Marco Attard, with Andrew Smith, Joe Twyman and Alasdair McCaig sharing two of three seats for the team’s European Le Mans Series campaign. BMW Scholarship winning driver Ollie Millroy will contest all ELMS rounds following his impressive GT debut with the team in 2012. Ecurie Ecosse has attracted commercial backing for the season from sponsors such as John Clark Motor Group, Cotton Tree, Ragus, Tapco Homedry and The Calais Wine Superstore. A sister BMW will enter the British GT Championship under ‘Ecurie Ecosse with Barwell Motorsport’, and will be campaigned by established British GT pairing Piers and Ron Johnson. Piers is a previous British GT race winner and the pair are now stepping up their quest for championship success by moving to the Z4 GT3, which will be sponsored by Oilfield Production Consultants (OPC) Ltd.
“This is a very exciting development for Ecurie Ecosse. We looked at a number of options for 2013 following our return last year but believe, with the combination of BMW’s Z4 GT3 and the guys at Barwell, that we absolutely have the right ingredients in place to achieve success. Barwell Motorsport Managing Director Mark Lemmer is looking forward to the start of pre-season testing: “We are delighted to have Ecurie Ecosse back in British GT where we can build on the success of last year with the team’s brand new 2013-spec BMW Z4 GT3. I’d like to welcome Marco Attard onboard; we’ve known Marco for many years and it’s great to have him with us to challenge for the British GT title with Olly. The team is exploring a number of new commercial partnership opportunities with interested sponsors.